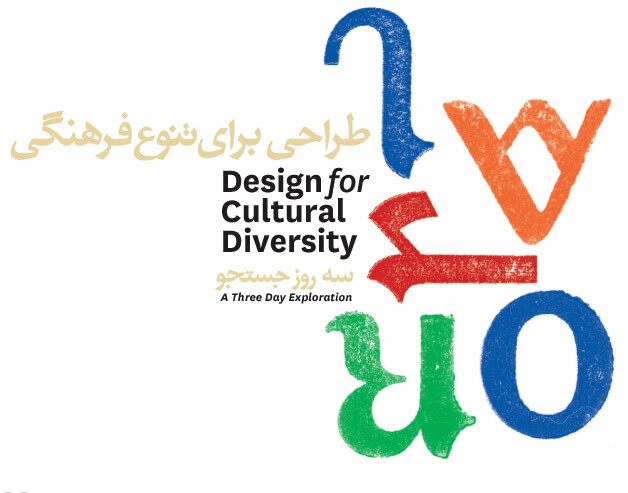 In a variety of ways, both practical and philosophical, the events will focus on different aspects of how design can be used to promote cultural diversity and how design can extend beyond local and conventional visual frames of reference. As a studio Lava has a particular focus on visual story telling that has developed into a unique design vision, what they call the five Cs: collaboration > content > consistency > change > concept. Abedini’s visual story telling is the result of his competent handling of the Persian script in combination with photography or drawing and the effective use of a reduced but strong range of colours and is indebted to both the literary and visual traditions of Persia as well as to the international history of expressive graphic design. This lecture will explore the work of both Lava graphic design and Reza Abedini, their individual approaches to creative solutions and their collaboration through Orientation Lab. It will incorporate a Q&A session and will be of value to anyone working in visual communication. Paul Hughes of Orientation Lab an initiative of Lava graphic design, Netherlands and Reza Abedini will conduct a day long workshop that will focus on how to use design to address issues or audiences that go beyond local and conventional visual frames of reference. The purpose of this workshop is to improve participants’ skills in thinking about design work produced for contemporary diverse communities and organisations. It will be of interest to organisations targeted at diverse audiences, NGOs, heads of communication who commission design, graphic designers, visual arts/design academics. Orientation Lab is a new initiative working on multicultural visual communication projects of Lava Design, Netherlands. The cost of the workshop is €80 including lunch.